Bring your friends! Sip, stroll and shop to help the JLSJ Endowment Fund save for a rainy day! Enjoy an afternoon of fun and education. There is no cost to attend and guests are welcome! 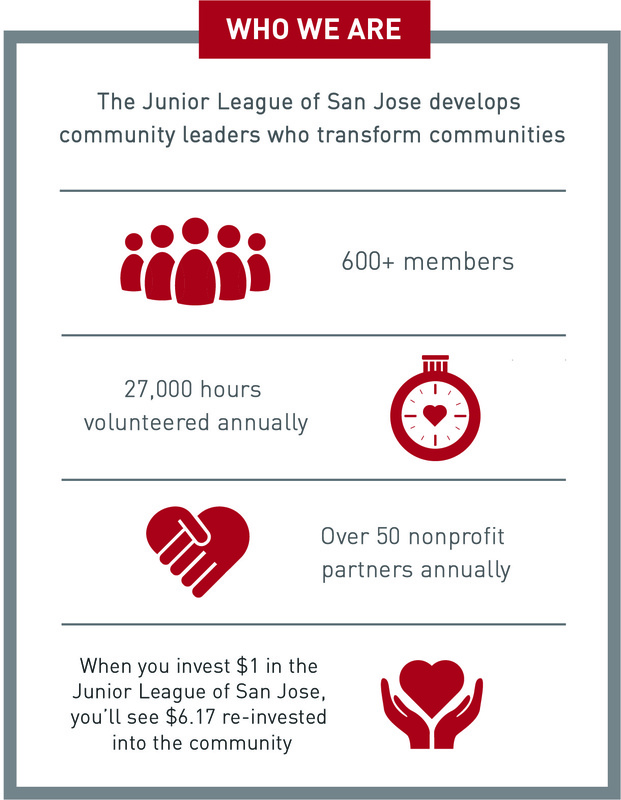 Via Services honored the Junior League of San Jose at their 23rd Annual Via Ball on Saturday February 24. JLSJ was chosen by Via Services as the Community Partner of the Year for the amazing work we are doing in the community! You’re invited to the Endowment Fund Elixir Mixer. Don’t miss the chance to attend this free event and enjoy a selection of custom cocktails, tasty bites and VOTE for your favorite drink! Click here to register to attend. David Yurman Santa Clara, 6-8 p.m.
You’re invited to an exclusive David Yurman shopping event- 10% of proceeds will benefit the Junior League of San Jose! Hosted by Marcia Riedel, Linda Graham and Courtney Kaefer at David Yurman Santa Clara in Valley Fair from 6-8 p.m. on Feb. 1. RSVP to sanjoseretailstore@davidyurman.com Valentine’s Day is just around the corner!